Cinematique Instruments has announced its Christmas Calendar, offering 10 surprises over the next few weeks up to Christmas. It´s Chrismas Time and for us, it means that we want to celebrate the year 2016 with you! A lot has happened, so we decided to put on a special advent calendar for you. We got 10 surprises waiting for you each one is special such as sales, gifts, news, weirdness & specials. Thank you all for 2016! 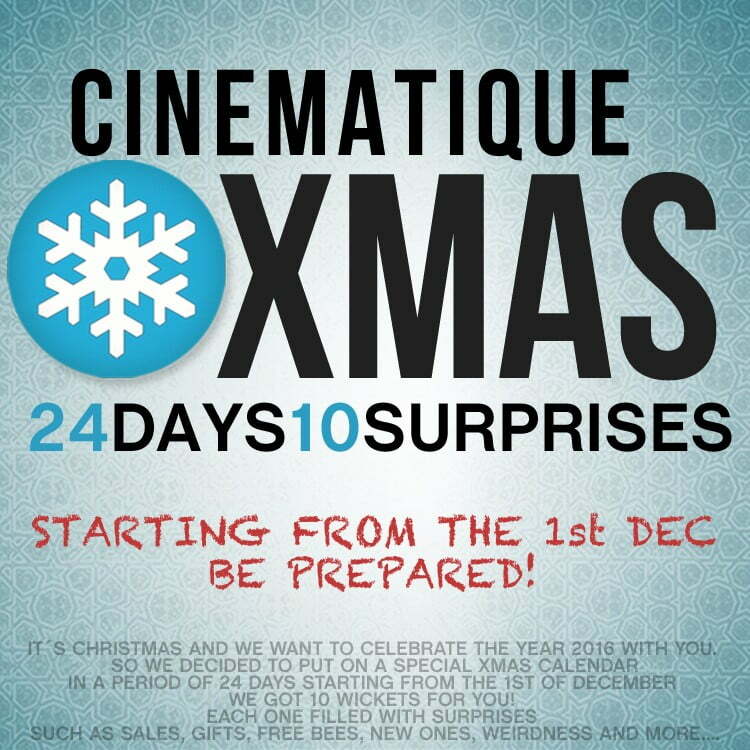 Lets celebrate a Cinematique XMAS …soon … be prepared!